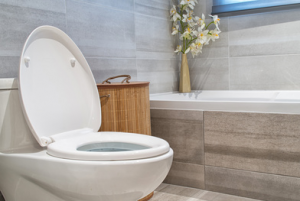 A common concern users have when it comes to cleaning their toilets is “Are bowl cleaners safe for septic systems?” The answer comes in two parts. First, we must understand that there are two different types of septic systems: the private home and the community septic system. A private home system is more sensitive to the volume of chemicals used due to limited dilution. In most houses, low-acid based cleaners can be used. The best option, however, would be a non-acid restroom cleaner, such as Bul-It. Due to the large water volume available to dilute chemicals, community septic systems are more forgiving. Acid bowl cleaners will do fine in this environment. As long as users are aware of the type of septic system they are trying to clean, it is easy to avoid issues with restroom cleaning. Below is a list of products safe for both environments.